It's free. Everyone is welcome in Baker's Hill Palawan. 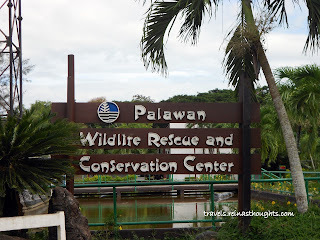 It is visited often by tourists of Palawan due to its overlooking view of Puerto Princesesa City and its beautiful houses in here with landscapes, garden, flowers,mini park, and animated statues. It is very accessible from the city wherein it is only a tricycle ride. Look who enjoyed this place the most, no other than my husband's nephew. He wants to have a picture with some of the statues in there. Traveling is fun and arriving in different tourist spots is an achievement as a traveler. Places, people, culture and food are some of the things a traveler look forward to in every places visited but each traveler should not forget also the smell in each place. There are times that some smell in each places that are new to us and may not be pleasing to our nose. It may be from surroundings, food, body odor, flowers or even from e cigaret. So if you travel to a new place, don't forget to bring menthol candies, inhaler or oil to pacify one's self from displeasing smell. This was a dream travel for me. 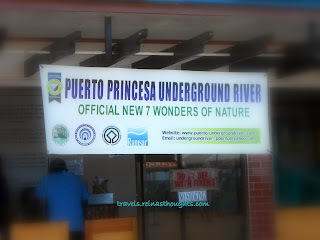 I never imagined that I would be able to visit the famous Puerto Princesa Underground River which is now belong to the new 7 wonders of nature. Since my companions and I were already in Palawan, we never missed the opportunity to visit this famous tourist spot. Along the way, I could not refrain myself from not taking a photo of this. This is a solar lamp post which means that the light produced by it is powered by solar energy which comes from the light of the sun. According to our travel guide, this was designed by a German engineer. It amazes me to see a lamp post without long electricity wires and very environmental friendly. 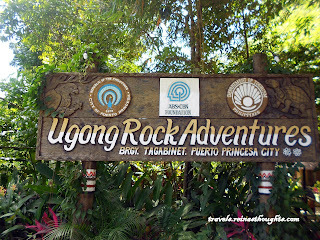 Ugong Rock Adventures is located at Brgy. Tagabiniet, Puerto Princesa City. If you are on your way to the famous Underground River, you could pass by to this place. Caving, splunking and zipline adventure are the activities offered here. This is one of the passages inside the cave. Ugong Rock was named after a musical instrument "ugong". There are some rocks inside the cave that if you knock on it, it would create an ugong-like sound. One of the many features inside the cave are these stalactites and stalagmites formations. This is a stalactite that looks like a chandelier but as time passes by it already reached the ground. If you would be in Ugong Rock Adventures, finish the activity by enjoying their zipline adventure. So far this is the fastest zipline I had experienced with a travel time of 21 seconds. 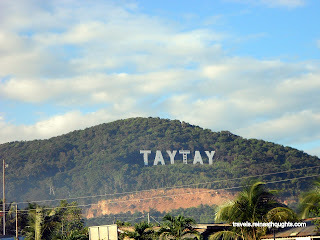 This is Taytay in Palawan. A place with a lot of historical sites. In this place you will you be able to find old church, old buildings and old port. This is one of the old buildings which is now used as a commercial buiding. This was built during the Spanish time. Another old building is this church. It is so amazing to see buildings that was built hundred years ago which were still used up to this time. A scenic view of the two old buildings with the name of the place. While strolling around I can't help myself not to capture a picture of the community. This is the pathway towards the old port. A beautiful view of the port. 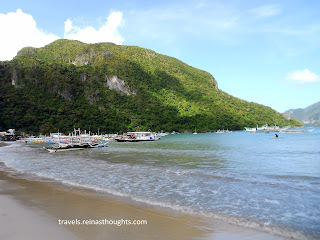 El Nido, Palawan had always been a part of my list in the places I wanted to visit. It has been a dream vacation that met my expectation. I went their with my husband, his brother's family and the family of our godparents. Look what greeted me when I woke early in the morning. A giant rock or limestone formation. From Puerto Princesa City, El Nido could be reached after seven hours of land trip in a for-hire van. Another way is through public bus like this one below which has only one trip in a day and maybe it would take you ten hours to reach El Nido from Puerto Princesa City. As what mostly tourists did, we prefer to hire a van as our mode of transportation in going to El Nido. Upon reaching El Nido, we stroll in their public market to look for food to cook. We had been able to find there crabs, lobsters, shells and a lot of fish.